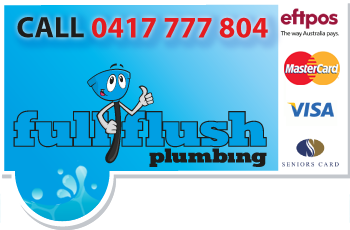 FULL FLUSH PLUMBING is your local plumber in Sydney, we provide friendly tradesmen with cost effective solutions for all your plumbing, drainage & gas fitting needs. 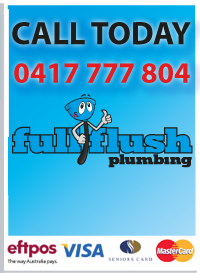 At full flush we treat all plumbing services & repairs as urgent. No job is too big or small. Full flush plumbing is licensed to carry out all plumbing and gas fitting work. We are fully insured covered by $20 Million in Public Liability. We have built our reputation on delivering the highest quality workmanship, cleanliness, reliability and above all offer competitive prices. Our tradesmen are specialised in locating diagnosing and solving the cause of all your plumbing problems. We understand that it is important to work with our customers to make the job as simple and easy as possible. Clear communication with all our customers is an aspect that Full Flush takes seriously. Our licensed Sydney plumbers are willing and able to meet all your plumbing challenges. All independent brands and logos are the intellectual property of their respective ownersrs.